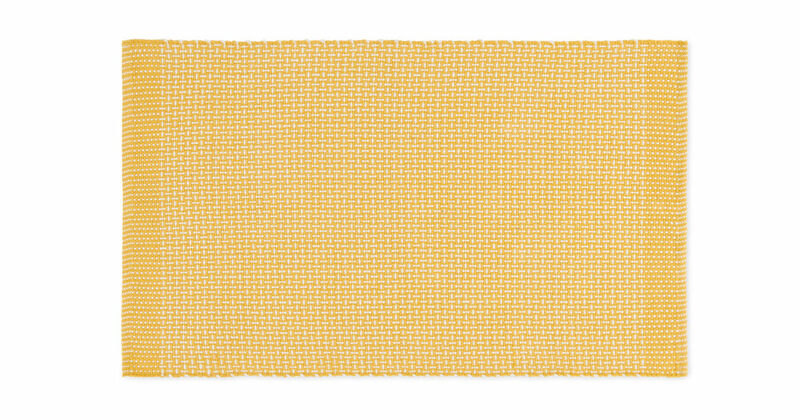 This rug reminds us of sunny days at the beach. Made from pure 100% cotton, it’s soft yet durable – lasting well in busy areas. Stepping onto Santorini makes hard floors a little more comfortable. It’s got a two-tone woven texture, and adds a cosy warmth to your space – as well as a pop of colour. Going for a coastal look, or maybe French-inspired? Either will work with Santorini. Update your style easily by adding a rug, in a cool range of shades. There's also a larger size, for bigger spaces.